We offer a full range of Town & Country property management services tailored to you as an investor, homeowner, or landlord. We have an extensive portfolio of single family homes, townhouses, condos, and apartments in the Town & Country area. Located in the northwest section of Hillsborough County, Town 'N' Country is home to more than 100,000 residents who enjoy close proximity to the big-city amenities and world-class attractions of the Tampa Bay metropolitan area. The community promotes its own identity as a family-oriented, suburban hometown and peaceful gateway to some of the world's finest beaches. Town 'N' Country students in grades K-12 are accommodated by the Hillsborough County School District, which is top-rated in mathematics among Florida's 10 largest school districts and has consistently ranked as one of the two school districts with the most Florida Academic Scholars. 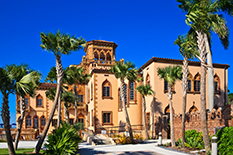 Several colleges and universities - including University of Tampa are in close proximity. Tampa International Airport is less than three miles from the heart of Town 'N' Country and two major interstate highways are just minutes away. The many cultural, educational and entertainment venues available to Town 'N' Country residents include the Tampa Museum of Art, Busch Gardens & Adventure Island, Florida Aquarium, Henry B. Plant Museum, Lowry Park Zoo, Museum of Science & Industry, the Performing Arts Center, Tampa Bay History Center and the Tampa Theatre. Town 'N' Country real estate options consist of single-family detached homes for sale, estate properties, condominiums, townhouses and land lots. Countryway, MeadowBrook, Country Chase and Timberlane are among the centrally located developments. Many residences in Town 'N' Country feature deep water access to Old Tampa Bay and the Gulf of Mexico. The Reserve of Old Tampa Bay, Pelican Island, Sweetwater, Village of Bayport, Bayside, Bayside East, Bayport Colony and Palm Bay are beautiful, gated waterfront communities that provide such access. Graceful Florida waterfront communities with water access include Dana Shores, Rocky Point Village, Bay Crest Park, Tampa Shores/Imperial Key and The Cove. 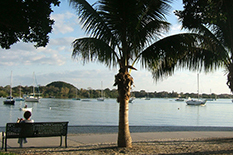 Condominiums and townhomes with access can be found in Spinnaker Cove, San Marino Bay, Colony Bay and North Bay Village. Land lots are also available for custom development.